Story: In an era of cyborg modifications being de rigueur, a female cyborg-soldier tries to find a terrorist brain-hacker in Japan. 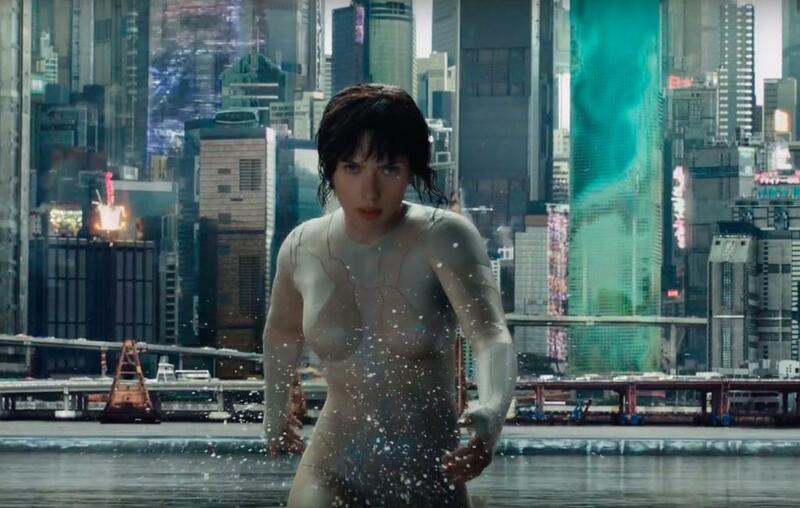 Review: Although the VFX in this movie are impressive, they’re nothing new – and the cracked eggshell appearance of the cyber-bodies (see picture) is kinda silly looking. Most of the acting is underwhelming, except for notably good performances by Juliette Binoche and the actress playing the protag’s mother, but I think that’s mostly the director’s choice. The narrative style of the film feels very awkward for this reason. Firstly, the director makes all of the American and British actors use the slow and under-reacting style familiar to Japanese cinema, and it looks quite forced. Secondly, the scenes rapidly swerve from this style of long, silent pauses and expressionless glances to fast-cut American-style action sequences with scenery-chewing moments of performance. One gets the feel of mental whiplash from seemingly switching between two different genres of movies throughout the film. That said, the most talked about aspect of the film has been casting and story. *The entire rest of this post is one giant spoiler – you have been warned* On the face of it, this movie is about an evil corporation that steals the brains of runaways and stuffs them into cyborg bodies, turning them into sentient slaves and claiming this is the next step in evolution. But given all the hype about race and the choice of which actors aren’t Japanese (the corporate guy, the lady scientist, and the two main cyborg characters), I prefer to puckishly think of it as a dystopian tale of colonialism where an evil corporate white-supremacist guy transplants the brains of Japanese teens into caucasian cyber-bodies in order to slowly turn make the whole world look like the same race. Still doesn’t make it a super entertaining film though. Recommended for: Uhh, I’ll get back to you on that one.